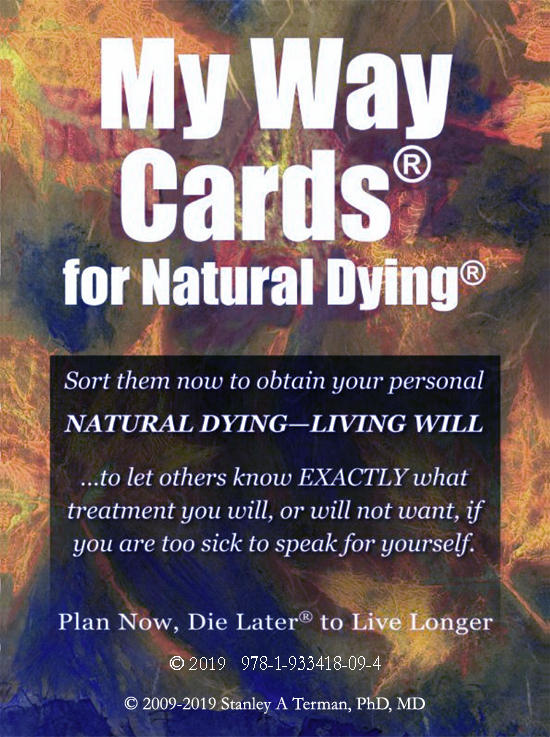 An online patient decision aid, My Way Cards. Each card describes one of about 50 conditions by easy‐to‐understand words and a line drawing. Together, they strive to comprehensively reflect what people dread most about being forced to endure a prolonged dying in advanced dementia and other terminal illnesses.